A dual core processor is part of a category called multi-core processors. These computer processors have more than one independent processor on the chip or package. In the case of dual core processor, the entire chip has two independent computer processors that can work together to increase total computer performance. For non technical consumers, dual core processors can be thought of as having two separate computer chips combined. One of the biggest advantages of having a dual core processor is for the ability of the computer to perform thread level parallelism. A thread is a task that a computer puts resources to run. For instance, if you have a computer running a Microsoft XP operating system, you can press ctrl – alt and the delete key and the task manager will come up. You can then click on the tab called processors, you will see a list of processes that the computer currently has assigned resources to. The higher the number to the right, the more intensive the computer processor is working on these tasks. These tasks are considered threads. With a dual or multi core processor, each individual core can work on tasks in parallel with each other. In common laments terms, you get much more performance from a dual or multi core processor. There are several advantages to having a dual core processor. The first advantage is that your computer will use less energy and deliver more total performance from both its cores than a single high performance chip design. 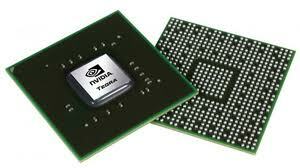 The second is that dual core processor caches will perform better than a two chip design. You will also need less space requirements, since the die for the dual cores are printed on one chip. There is no need to create two separate chips, thus saving space. Another advantage is that the technology is very reliable and has been tried and tested. Dual core processors will likely continue to have an excellent reputation due to their stable and reliable design. While the advantages far outweigh the disadvantages, you should be aware of a few negatives. For instance, software needs to be redesigned to work specifically with dual core processors. It is important to note that the most reliable design is to have an individual processor on a chip and that due to the fact that the dual core processor will be working faster and harder, this will put constraints on the system bus, as well as other parts of the computer such as memory bandwidth. Dual core processors are now available for purchase and they are quickly becoming the dominant architecture in the industry. Look forward to seeing more dual core desktop and laptop computers at the retail level, as well as multi core processors coming soon. The price for dual core technology is a little more expensive, however most people that buy dual core technology feel that the power in processing is well worth the additional cost. AMD Athlon-64 and Opteron processors are available in dual-core models. Intel Pentium 4 Extreme Edition and Xeon processors are available with a dual-core.